NEW ECONOMIC DEVELOPMENT WEBSITE: Stay abreast of the latest events, learn about our great City, and find important development facts by visiting and bookmarking http://www.ccedd.org/. The Economic Development Department would like to thank Kevin Lockwood for his proactive approach, creativity, and diligence in diagnosing community and developer needs when designing this site. We welcome additional comments and suggestions at sjames@cathedralcity.gov. AGUA CALIENTE DOWNTOWN CATHEDRAL CITY CASINO: On January 18, 2018, the Agua Caliente Band of Cahuilla Indians shared their site plan for the 12.5 acres of located on the northwest corner of Date Palm Drive and East Palm Canyon. The site plan contemplates a 60,000 total square foot casino consisting of 500 slot machines in 40,000 square feet of gaming space; 5,000 square feet of restaurant space; and 2,500 square feet of retail space. Further, the plan shows an additional 65,000 square feet of mixed-use space for a total under-roof development of 125,000 square feet. Given the Tribe’s success in Palm Springs and Rancho Mirage with two luxury destination-style casino resorts, we know the Tribe will deliver another first-class development! BOB HOPE CROSSING: The ground-breaking has already begun on this exciting new nine-acre site. It will offer travelers a variety of services including a 90+ room Best Western Plus hotel, AM/PM gas station, Starbucks, McDonalds, Taco Bell and several high-quality quick-serve restaurants. SUNNIVA: Construction on the Sunniva project is well under way! This $54m project is located on the south side of Ramon Road east of Date Palm Drive and will be approximately 500,000 square feet at build-out. This project will provide 175 to 200 well paying full-time jobs with benefits. HIRE LOCAL PROGRAM: The Economic Development Department is working closely with the City Council to implement a “Hire Local” program. This program promotes major new businesses to offer all jobs to Cathedral City residents first, before opening the same opportunities to the rest of the Valley. The City and the Council are determined to not only attract new businesses, but ensure our residents are given the first opportunity to land that great new position. DOWNTOWN CATHEDRAL CITY: Truly exciting things are happening in Downtown Cathedral City. Recent or pending developments within Downtown include: (i) the Agua Caliente casino; (ii) a $2.5m amphitheater located adjacent the parking structure which will be breaking ground within 60 days; (iii) the purchase of the Desert Cinemas theater by CV Repertory is scheduled to close escrow this month. The theater will become home to the future Carol Channing Playhouse with a scheduled opening in the Spring of 2019. I can’t wait! ; (iv) The Economic Development Department continues to attract developers interested in creating attractive mixed-use projects located in other areas of the downtown. These projects are anticipated to include retail, lodging, and residential uses. CVEP, SBA, & CATHEDRAL CITY ECONOMIC DEVELOPMENT PARTNERSHIP: The Coachella Valley Economic Partnership (“CVEP”) and the Small Business Administration (“SBA”) have partnered to provide free monthly bilingual workshops on a variety of business and professional development related topics. The first class starts tonight at 6pm at the Palm Springs Motors dealership. Times, dates, and program topics are available on our new Economic Development website (http://www.ccedd.org/). Be sure to check the City’s economic development website, CVEP’s website (http://cvep.com/), and SBA’s website (https://www.sba.gov/) for other valuable services and resources. Many of these resources are free! Also, we encourage you to make a special effort to properly maintain your own properties (whether residential or commercial). This shows civic pride in our community. This is another important “selling point” when prospective businesses, commercial real estate agents, and developers tour our City scouting out future business opportunities. 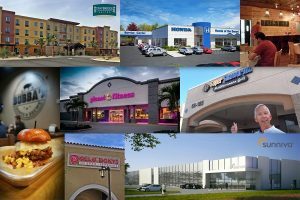 Great strides were made in 2017 to fill vacant commercial spaces that have been noticeable in Cathedral City since the Great Recession and its immediate downturn in the economy as well as the ever-changing habits of shoppers from brick and mortar shopping to more online shopping. Big box stores and indoor shopping malls are no longer desirable to many consumers. For help on starting a business or keeping up-to-date on the latest business news, go to www.CCEDD.org. Cathedral City, CA (January 29, 2018) – The Coachella Valley Economic Partnership (CVEP) in conjunction with the City of Cathedral City and the U.S. Small Business Administration (SBA) present a series of monthly workshops geared towards helping entrepreneurs open and run their businesses profitably. The “Small Business Success Series” will feature a new topic each month, beginning February 8 and continuing through November 2018 at Palm Springs Motors, 69200 Hwy 111, Cathedral City, CA 92234. Each workshop will be presented in English (from 6:00-6:50pm) and Spanish (from 7:00-7:50pm). Entrepreneurs throughout the Coachella Valley have increasingly requested access to resources to help start and grow their businesses. Cathedral City, already home to a vibrant array of small businesses, is primed for additional small business growth with plans in place to expand downtown offerings and add to its overall economic base. 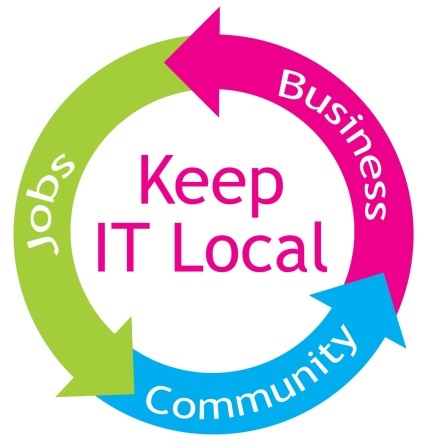 With an eye towards supporting current and future home-grown businesses, the City has enlisted existing business support agencies – CVEP and SBA – to deliver high-quality business education and information to its aspiring business owners, and to do so in both of the region’s predominant languages. “When local businesses open their doors, we want them to have access to all the tools and information they need to ensure that they become profitable and successful. We also want to make sure that we are serving our many local Spanish-speaking entrepreneurs, who have been traditionally underserved by similar education programs. The “Small Business Success Series” is designed to enhance the business acumen of our local entrepreneurial community and to help them build their businesses in such a way that they’ll be successful for the long-term,” says Stone James, director of economic development for Cathedral City. Topics will include business startup basics, understanding credit, business financing, digital and social media marketing, customer service, preparing for the holidays, and more. Most workshops will be held on the second Thursday of each month with the exception of August (Saturday, August 11) and November (the third Thursday, November 15). There is no fee to attend. For more information, please contact Laura James at 760-340-1575 or laura@cvep.com. To register for the February 8 session in English, please visit this link. To register for the February 8 session in Spanish, please visit this link. CVEP is a nonprofit organization that serves as the regional economic development agency for the Coachella Valley. CVEP manages the Palm Springs iHub and Accelerator Campus, operates a business retention and expansion group, and is the point of contact for business attraction. Visit www.cvep.com, email info@cvep.com, or call 760-340-1575. SBA provides assistances primarily through its four programmatic functions: Access to Capital, Entrepreneurial Development, Government Contracting, and Advocacy. Visit www.sba.gov for more info. The scoping comment period is open from December 29, 2017 to January 29, 2018. A scoping hearing will be held at 6 p.m. on January 18, 2018 at DoubleTree by Hilton, located at 67967 Vista Chino in Cathedral City, CA 92234. The Coachella Valley Small Business Awards Program, hosted by the U.S. Small Business Administration, the Coachella Valley Small Business Development Center, and the Riverside County Economic Development Agency, was held on Thursday, December 14, 2017, in Cathedral City at the DoubleTree Hotel. Special Purpose Properties. Business owners buying gas stations, car washes, hotels, assisted living facilities, and hospitals will continue to require a low down payment of a minimum of 15% down payment for their first project financed with the SBA 504 loan program (with an additional 5% if the project is new). Subsequent special purpose projects will require a 20% down payment.Overall, the SBA reduced the number of industries considered “special purpose” because of new development standards that may not deem a project a special or single purpose use. Properties financed with the SBA 504 loan that are not special purpose require a down payment as little as 10% for the business owner. Franchise Update. The SBA has created a Franchise Directory, which includes all franchise and other brands reviewed by the SBA that are eligible for SBA financial assistance. 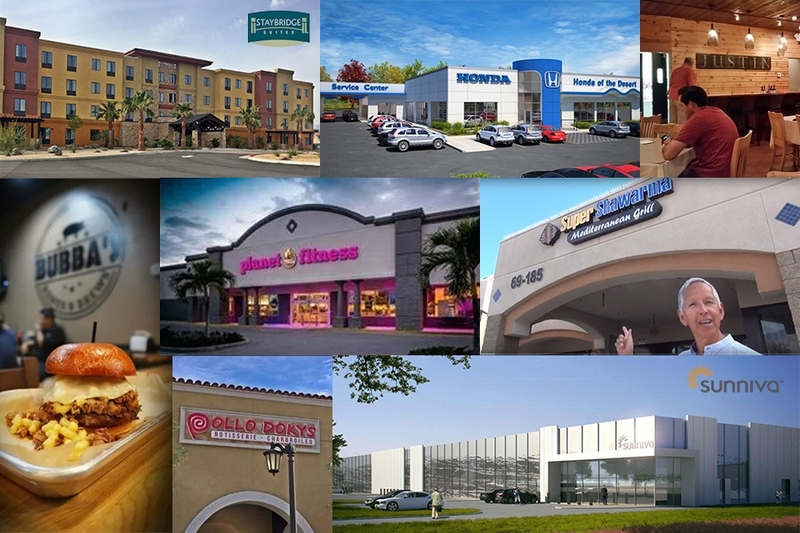 The brands on the SBA website at www.sba.gov/for-lenders registry will document all eligible franchises. If the franchise is listed on the website, no other review of the franchise agreement or eligibility of the franchise will be required, thus eliminating inconsistent decisions and backlogs. If the franchise is NOT on the registration, then the CDC must submit the franchise for a pre-application review. Energy Public Policy Update. Energy Public Policy Projects that allow a borrower to obtain multiple SBA 504 Loans when the fixed asset project reduces energy by 10% or creates renewable energy, has now limited these projects to no more than $16.5 Million in the aggregate per borrower. Refinance. Businesses seeking to refinance commercial real estate can continue to take advantage of pulling cash out for business expenses; however, the cap on cash out will be 20% as of January 2018 vs. today’s 25%. CATHEDRAL CITY, CA – The Agua Caliente Band of Cahuilla Indians announced today it is acquiring 12.5 acres for a development project in the heart of downtown Cathedral City, and it will contribute funds to relocate a fire station currently at the site. The Tribe will contribute $5.5 million to the City Urban Revitalization Corporation for the purpose of relocating and constructing the new fire station. In consideration of the contribution and the benefits associated with the development — which will create jobs and help revitalize downtown – the City Urban Revitalization Corporation will transfer the property to the Tribe. In total, the Tribe’s development area includes about 13 acres at the northwest corner of Date Palm Drive and East Palm Canyon Drive in Cathedral City. The Tribe plans to create a master plan for a new mixed-use entertainment and gaming district, which is allowable and contemplated by the Tribe’s recent gaming compact signed by Governor Jerry Brown that took effect on Oct. 31, 2016.